Building a successful website is about so much more than graphics and code. Human intelligence and reasoning are more essential features to a great design than ever before, as the shape of the web continues to evolve and change. Sites that were considered slick in appearance even just a couple of years ago now look dated and worn, and it is important for those charged with their care to address these problems sooner rather than later. While you might not be ready to completely replace your existing website, it is useful to think about ways you can develop your online offering. More successful websites are often those that sell the most, and this doesn’t always strictly correlate with the quality and appearance of the design. So what should developers be thinking about when designing for today’s Internet, and how can these factors combine to make your website more successful? 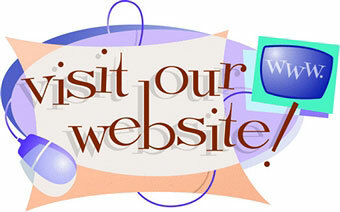 Usability is one of the most important features of contemporary web design. Websites that feel more intuitive to use and navigate will deliver better results, because there are fewer barriers to completing conversion actions. Designers now know to limit the number of options they present to visitors on each page, and to guide the user toward a simple, easy decision. Subtle changes and improvements to the functionality of your site can have a dramatic impact on the results you can achieve from it. Web development companies will be able to advise on the most effective ways of making your website more appealing to visitors. They should also give advice on techniques to increase your conversion rates. Good web design is only as good as the results it delivers. 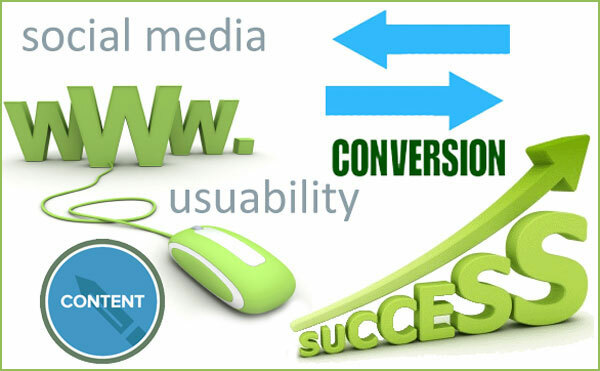 Focusing on ways of increasing the conversion rate of your page is one way to make your website more successful. There are volumes written about conversion-centric design online, and digesting this information can make your website many times more effective than the average. Even tiny adjustments to the look, feel and content of your site can influence how visitors engage with it. The principles of conversion-centric design are many and varied, but they can often result in a website massively increasing the results it can generate from current traffic levels. Conversion rate optimization allows you to make the most of your current traffic levels. This effectively allows you to squeeze the maximum value from your visitors, through converting as many as possible to your desired on-page action. Social media is now in its early maturity, and forecasts project that Facebook, Twitter, Google Plus and others are here for the long haul. That means you should engage with these sites now (if you haven’t already), so you establish relationships before more customers join and the competition becomes fiercer than it is today. There are two ways in which you should engage with social media. The inclusion of social media buttons and sharing tools is one way that you can breed social into your design, and this can help facilitate a more seamless integration between your site and the social web. But beyond that, you should look to generate valuable, shareable content for your visitors to devour and hopefully share. This is one of the most effective ways of promoting your business online, helping achieve more exposure for your site and improving SEO credentials with the help of social signals and an increase in authoritative links as other web users share your stuff. The web is, and always will be, about content above anything else. The quality and types of content you create are separate in some respects from web design. 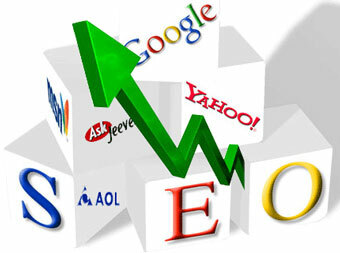 But investment in the right content is essential in order to realize the full potential of your site. Better content will lend itself to more frequent sharing, and will help position your business as an expert in its field. Regardless of the subject matter, providing more interesting, more valuable content on your website or blog will help drive your online presence forward and make your website altogether more successful. Developing a successful website is more of art than science. There are so many variables to get right that this is often best left to the professionals. But provided you understand the factors that will make your website more successful and more effective, you should be able to work hand in hand with your designers to achieve the best possible outcome.